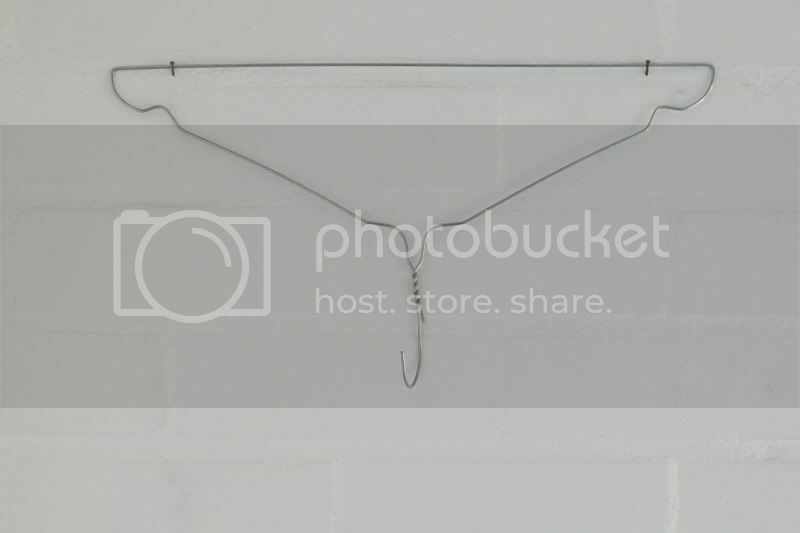 This easy transformation of a clothing hanger into a hook is my first of a monthly DIY feature I'm doing on the best Dutch online magazine out there; NSMBL.nl . (It is actually a redo of a DIY I did a year ago.) It is such a ridiculously easy way to create a new space to hang jewelry, clothes or hats that I don't really need to explain how to make one of your own, right? Beautiful, clean and simple. just how I like it! Simple, but o so nice. Love how original you are ! omg, it's so simple and yet so amazing! So clever! And it looks great! Oh Ivania, please do explain! Awesome idea, could see my necklaces hanging off this thing. so simple yet so brilliant, i will definitely be trying this out :) thank you for the tip! Loving it. So clean and elegant. That is such a great idea, and so easy to do too... I didn't want to make any serious holes just to hang my jewellery but this is a perfect solution! that's a perfect idea !!!!!! so simple, but awesome! great DIY! so simple but yet so creative! Alweer zo'n leuk idee meid!! Wow, I love it! It'll give my room a more edgy and industrial look.. I might try that out after I put up my clothes rack (which you inspired me to do as well, haha). I wish I had wall space to do this one. very effective! Such an amazing idea! It would also work for belts! I love this idea, so creative!! I totally gonna do it! Sometimes the simplest DIYs are the most satisfying! Love the idea about the simple hanger. Greetings and good luck in your future realisations! Erg leuke DIY! Ik ben al een tijd op zoek naar zo'n simpele ijzeren kleerhanger! Waar heb jij die vandaan? You honestly come up with some of the best d.i.y interior design ideas. congrats on the new monthly collaboration! always love your diy's, i think the painted jeans you did recently were my all time favourite though! looking forward to what comes next! The most brilliant ideas are the simplest, I guess. I actually prefer this to a wood one (or something else) I like the rawness of it. This is such a simple yet amazing idea!!!! i really love the look of this!!! very cool idea :) will also try this out! I am now not positive where you are getting your info, but great topic. I must spend a while studying more or understanding more. Thank you for wonderful info I used to be searching for this information for my mission.